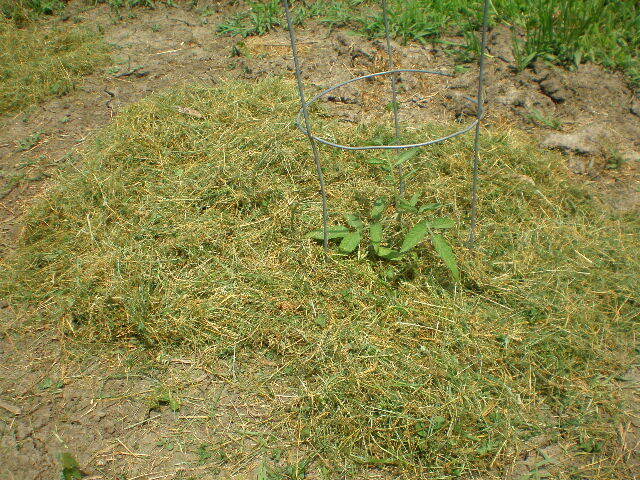 Anywho on Sunday after I mowed the lawn I decided to use the extra grass clippings to mulch around the tomato plants. 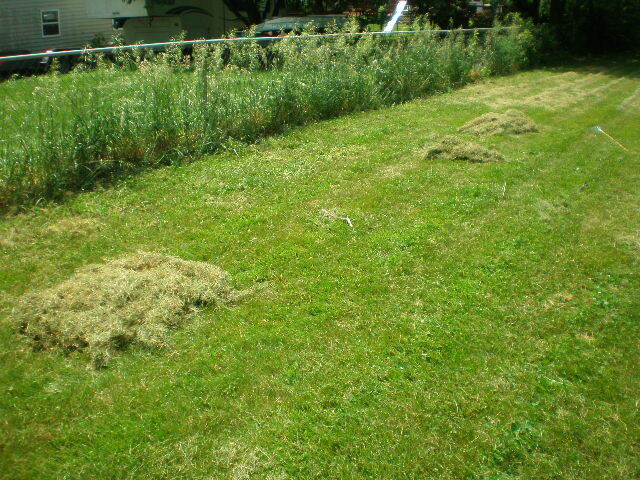 I do not have a bagger attachment for my mower so usually I just let the grass clippings lay on the lawn. It doesn’t look as nice as if I had bagged them but I’m not picky about my lawn. As long as it looks decent I’m fine with it. The grass clippings decompose in no time and then they are gone. Mulch inhibits weed growth – less weeds to pull! Mulch keeps the soil from drying out – less watering! I feel like I had a lot more reasons when I was out in the garden slaving in the hot sun with these grass clippings. But now I can only think of those two. Those are two pretty big reasons though. 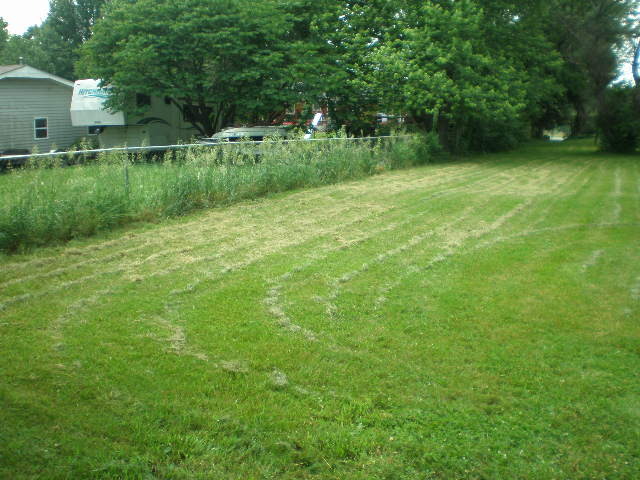 So when I mow the grass, I mow in circles which means the grass clippings are usually laying in nice straight lines. I just rake them up in piles and then load the piles into the wheelbarrow. 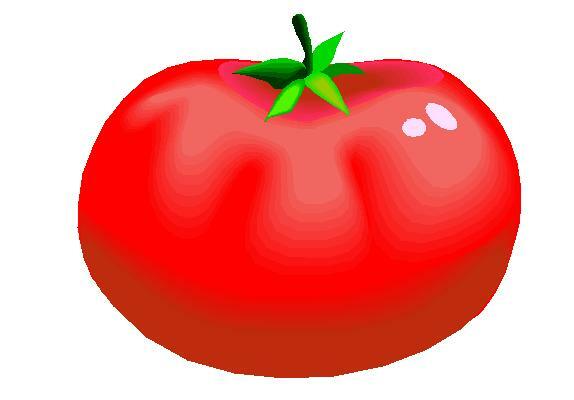 Then spread the grass around the base of the tomato plants, under the leaves. Your plants will want to hug you! The grass will dry out and turn all yellow in a day. 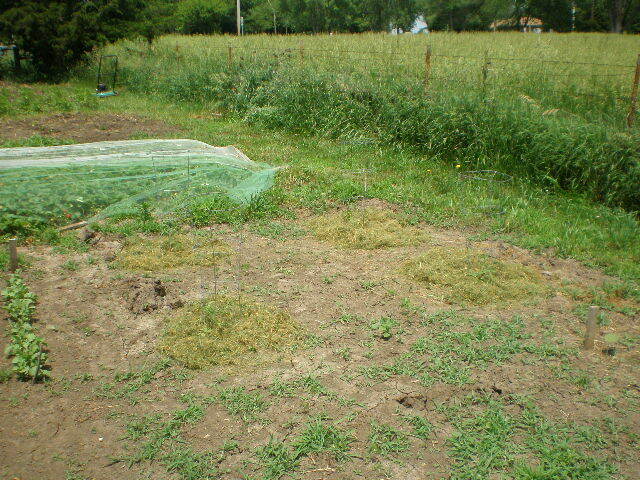 As you mow your lawn each time you can continue to add grass clippings to the bed. I would eventually like to fill the entire space in between all the plants with grass clippings. It’s nice to have them to walk on and it really helps keep the weeds down. If you have a bagger attachment for your mower, this process is even easier! Just dump the grass from the bag into the garden and spread it around. No raking required. Using the grass clippings as mulch also reduces your waste. I should say that you probably only want to use your grass clippings if you have an untreated lawn. If your grass is treated with chemicals and fertilizers, it probably should not be used as mulch in your garden. Your sweet peas are a bit ahead of mine! They look sooooooo good! 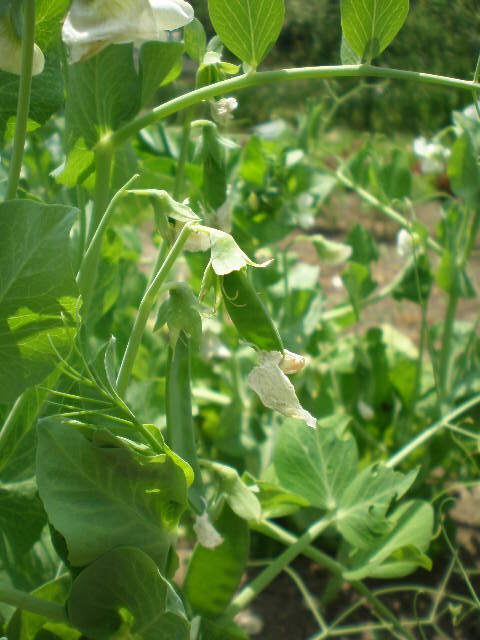 My peas have developed some kind of disease, but they are still producing peas. I want to rip them up since they look sick but I feel bad since the plants just started a new batch of blooms. Every time I mow I think about collecting the clippings but then I leave them on the ground to help with the lawn instead. At any rate, your peas will be delicious that’s for sure!